Make your own air fresheners! Make your own air fresheners for your car, home or any place in need of some fragrance! 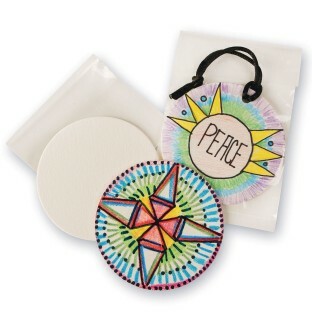 The absorbent 3” industrial-grade fragrance circles feel like stiff felt and are 1/10” thick. 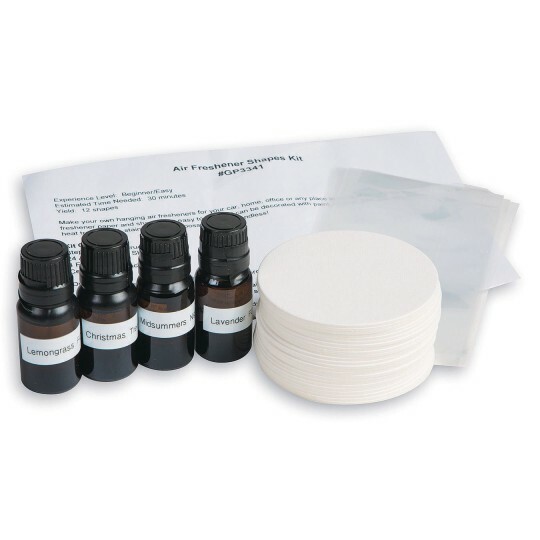 Kit includes step-by-step instructions, 24 air freshener circles (10ml each) of Lemongrass, Midsummers Night, Christmas Tree, and Lavender fragrance oil and 24 cello bags. Decorating supplies sold separately. Makes (24) 3” air fresheners.